When do I receive email notifications? 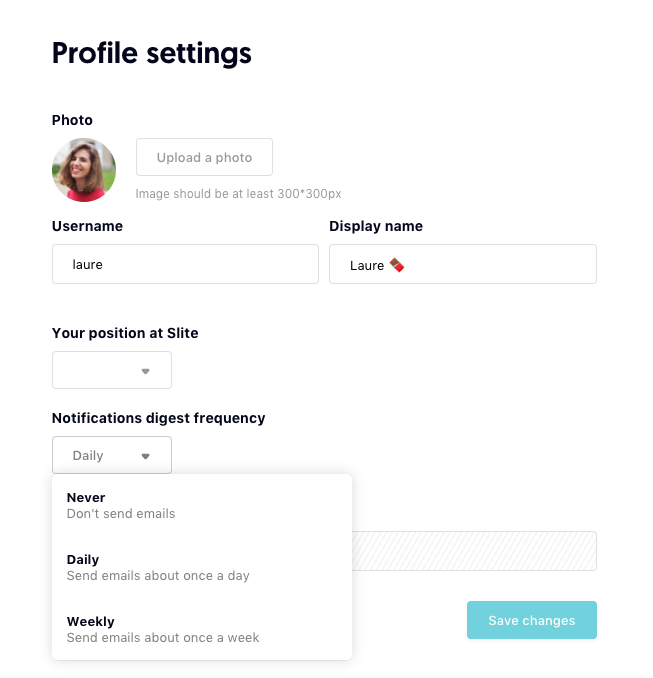 If you have an unread notification in Slite, we'll send you an email to notify you and ensure you don't miss out on anything happening in the app. You can choose the frequency at which you receive these sort of emails in your profile settings > notifications digest frequency.